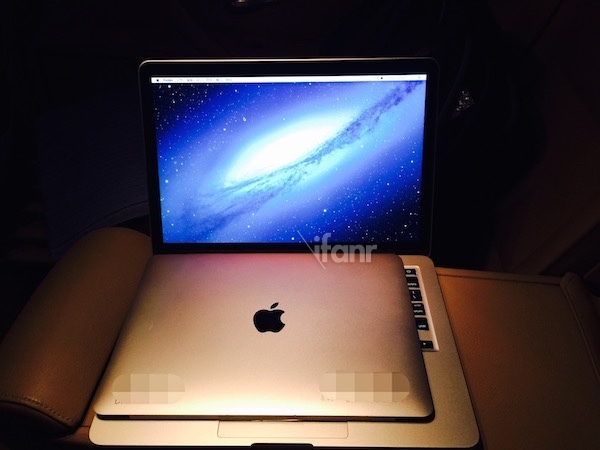 A set of leaked images shared by iFanr claim to show the display of Apple’s long-rumored 12-inch MacBook Air ultraportable notebook computer. 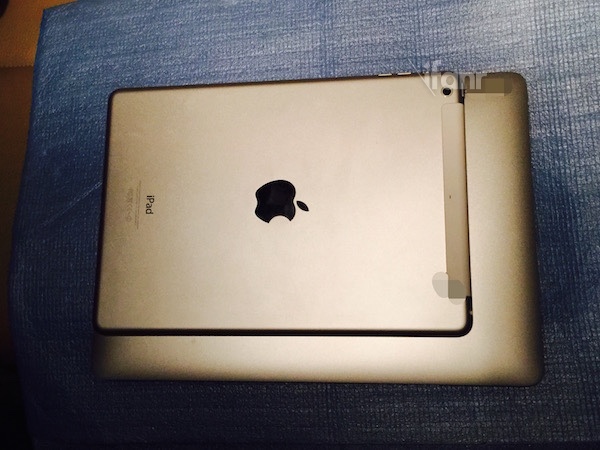 As noted by SlashGear, the photo set includes a couple of photos that compare the display with a 13-inch MacBook Pro and a 9.7-inch iPad, with the size of the purported component shown to lie between the sizes of the two official Apple products. The 12-inch MacBook Air is expected to replace the 11-inch MacBook Air as a smaller and cheaper alternative to the 13-inch MacBook Air in Apple’s lineup. The purported display of the 12-inch MacBook Air. It’s rumored to come with a substantial redesign that includes an edge-to-edge keyboard and a single USB Type-C port. This cannot be corroborated by the photo set, though, given that it shows just the upcoming product’s display. 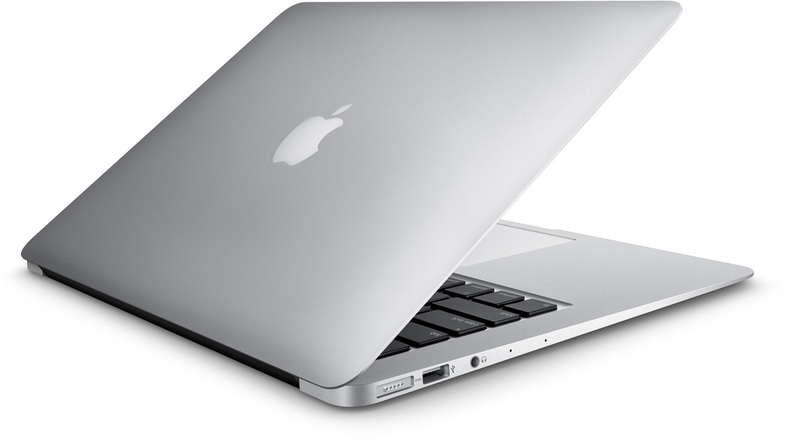 The 12-inch MacBook Air is also rumored to feature a Retina display. But the source of the so-called spy shots didn’t reveal the resolution of the display shown in the images. However, the images suggest that the 12-inch MacBook Air has a polished metal Apple logo instead of a backlit one on account of its thinness and a full black-bezeled glass front panel similar to that of a Retina MacBook Pro. The alleged display of the 12-inch MacBook Air with the 13-inch MacBook Air. 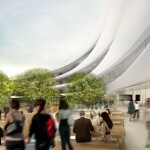 According to a recent report, the 12-inch MacBook Air could be launched in the first quarter of the year, as it has supposedly entered mass production at Quanta Computer, one of Apple’s Taiwan-based manufacturing partners. Quanta is said to be recruiting more workers to help ramp up the production of the 12-inch MacBook Air as well as that of the Apple Watch, which is expected to be released before the end of March. 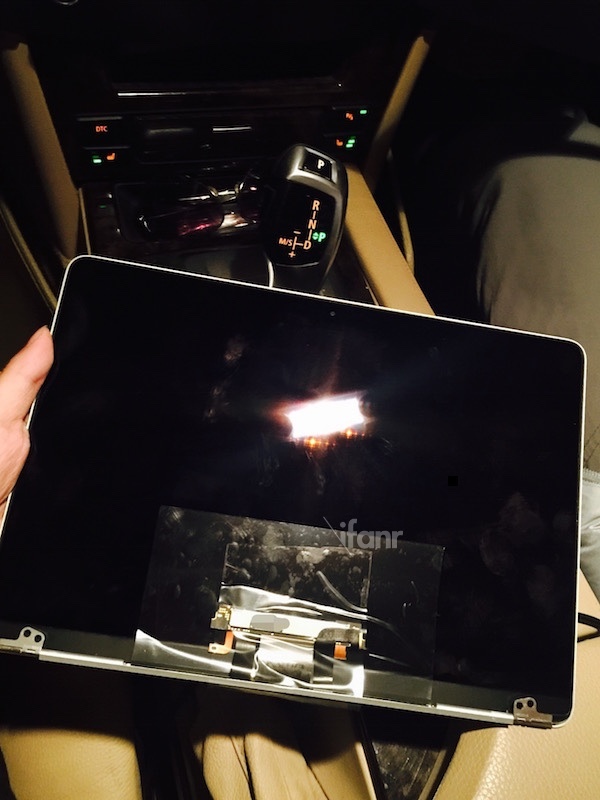 The alleged display of the 12-inch MacBook Air with a 9.7-inch iPad. 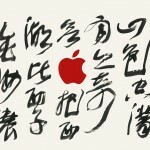 See also: Apple posts English version of video promoting its new West Lake store in Hangzhou, China, Apple’s SEC filing reveals pay of top execs, retirement of Millard Drexler from board, and We’re finally hearing more information about the Apple Watch’s battery life.